In this episode, Dr. Hackie Reitman speaks with Gabriel Axel Montes, educator, scientist, and founder of Neural Axis. (26 minutes) Gabriel currently completing a PhD at the Hunter Medical Research Institute (University of Newcastle, Australia), in collaboration with the Interacting Minds Centre (Aarhus University, Denmark). He works in cognitive neuroscience and neuro-rehabilitation, and centers around body ownership, agency, predictive processing, and mind-body interventions in stroke rehabilitation. He leverages multi-sensory processing in a virtual reality environment to tease apart components of selfhood and agency, with the goal of enhancing them. His experience as a mind-body practitioner and instructor (various forms of mindful movement, meditation, and contemplation) informs his work. 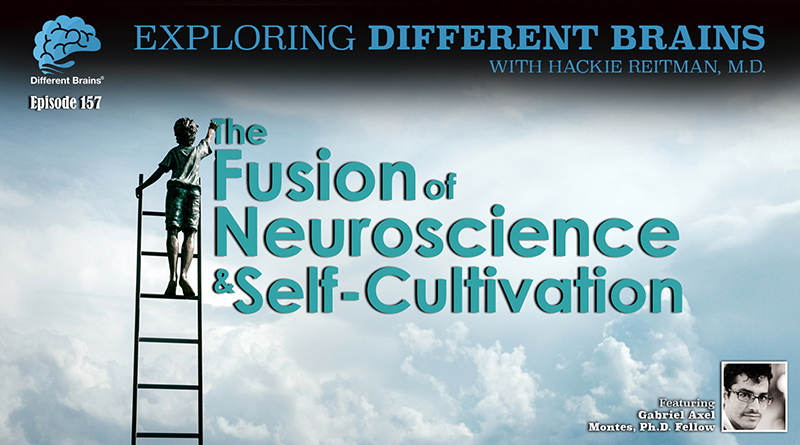 Join Hackie and Gabriel as they discuss the emerging importance of neuroscience in the field of mental wellness and self-care, as well as how the two are related. HACKIE REITMAN, M.D. (HR): Hi, I’m Dr Hackie Reitman, welcome to another episode of exploring different brains, we have with us today Gabriel Axel Montez and he’s going to introduce himself because what he’s doing is very very interesting stuff with neural axis and all the other things he’s doing. Welcome Gabriel, thanks for coming, why don’t you introduce yourself to our different brains audience properly. GABRIEL AXEL MONTES (GA): Thank you hackie it’s a pleasure to be here, thanks for the warm introduction. So, yep my name is Gabriel Axel Montes and I’m a neuroscientist and educator, and I work with people helping them to understand their brains and how they function and how that influences their life in various ways and how it can effectuate change in various ways; so right now I’m completing my PhD which is based at the University of Newcastle in Australia and before that I did a masters degree in neurobiology. Before I did that I did my bachelor degree in Neurobiology and Anthropology, and along the way I became interested in the mind, not only from the perspective of the third person objective, meaning like what can you figure out about the brain in the laboratory. I also became interested in the brain from the perspective of introspection and the first person perspective; the eye, the experience of consciousness as the ocean of experience. So I decided to go into that for basically the purposes of exploration, well-being, Health etcetera, and I turned my experience into a lab, an experiment and that’s how… I am where I am today which is weaving the first person experience of the brain and the third person experience of the brain. HR: Now is that we’re calling the fusion of Neuroscience and self-cultivation practices? GA: Correct, yes. I refer to the general spectrum of mind/body practices that involve going inward and working with your mind and your body in a certain way, I refer to those generally speaking as self-cultivation practices, because you’re cultivating like a gardener, the self. HR: Tell us about Neural Axis. GA: Sure. So Neural Axis is basically the the umbrella term for everything that I I do; from research to education, to working with people to consulting on various things including how to incorporate neuroscience and neuro-scientific inspired thinking into a workflow, a process, a company’s kind of culture Etc. to consulting an artificial intelligence based projects and how that can evolve with a fusion of self-cultivation and neuroscience. Neural Axis was named that way because basically it’s a reference to the neural axis, the spinal axis of the body that connects the organs and the brain etcetera, so it’s kind of a catch-all term for everything I’m involved in it’s an evolving beast. HR: (chuckles) It’s a little overwhelming to someone like myself even though I have an MD, I’m completely ignorant of this stuff. I like to think I’m not stupid but I’m pretty ignorant of… because it actually, conceptually, can actually get into the fusion if you will, or the merger of artificial intelligence, virtual reality, and what’s going on in our brain. GA: Yeah, absolutely. it’s… I view my body and self cultivation practices as the sort of internally generated technology if you will it’s like an ancient or perennial technology is better said. Were constantly editing our experience, that said there have been people that have formally gone through systematic processes of editing and facilitating, enhancing their experience manipulating it in various ways. So I view that as sort of a perennial technology, that it goes back as long as humans have been around at least. And then I see things like virtual reality, AI as external technology in the way that we typically think of technology today. So, there’s different ways of actually going in there and Shifting the way we think whether it’s introspectively through first person experience, or through the technological means; by going in there either having a girl in her face and her neural implants whatever that actually edits the brain or experience, or having virtual reality which basically Works through manipulating the… some corium of experience such that the mind is affected in this very synchronized way, it’s like having a puppeteer pulling the different puppet strings: smell, sight, taste, etcetera virtual realities mostly starting now with Sight but eventually things will get more and more advanced where we have… close to full immersion and in something where feels like you’re really there. And the Brain as a tricky way of doing that to you can an amplify one or two senses just enough to really convince your whole brain that you’re actually somewhere, even if you really think about one sense in particular you can tell that you’re not, so the brain has very tricky multi-sensory mechanisms and by the way it integrates some that make things that virtual reality possible today even though the technology is quite franklin. Still in it’s infancy. HR: If our viewers in our different brains audience or people like myself say, “boy, this is great stuff. I want to become his client.” Who are your clients and what do they sign up for, and how do they know to contact you? GA: sure so one of the things that I do is I work with people individually. Depending on the nature and the need and the…. I wouldn’t say the urgency but you know the nature of the problem in general or concern so I- because of the self-cultivation work I’ve done, I’ve become quiet perceptive of kind of subtle flows of the mind and there are certain ways to work with people that can catch some ways of thinking earlier before they become full-blown problems. Or sometimes if there is a full-blown issue in the person’s life, that they can work backwards to kind of like the common denominators at the root of their emotional brain, that can be shifted and they can therefore sort of change the way a person thinks. a lot of this work can be done just from a very secular point of view, just thinking about emotions, psychology, cognition, drives subconscious messages that we’ve received and we interact with. the radius of that sort of approach to also something that many people would consider more spiritual, it just depends on the languaging that a person likes to use. It’s not entirely necessary talking so-called spiritual terms, it’s just about what works for a person. HR: Can you talk about some of the anatomical correlates that you’ve become aware of in the studies that have been going on? If there are any. GA: First of all I want to say that there is a-some interesting philosophical implications that I’ve been brought forth by scientists and philosophers about the location ISM in the brain so the way we view brain is very highly conditioned upon the technology we use to investigate it and probe it. So we’ve already kind of in more in the frothy leading edge of the discipline of Neuroscience, we’ve already kind of seen that yes there are certain areas of the brain that we want to say do this and this area does that but we’ve already seen over the past decade or two that there are neuro-circuitries that transcend, if you will, the discrete brain regions on a three-dimensional you know volumetric level, and it’s a lot more complex and yet we still like to talk about brain regions, and then there’s- because it’s useful you know and then there’s also the ways that different brain regions connect and how they influence each other so functional connectivity and there’s different ways of describing that, the way they give feedback to each other, and the the kind bi-directional street, and then or where they take a detour through another part of the brain before going there and what that part of the brain does to that signal, Etc. So I only give you this as a precondition because a lot of these brain region localizationalist views, what they mostly serve to do is to to verify “oh, there is something going on with that phenomenon that that’s why we study it.” It also gives us a sense that we can grasp some thing that is that is actually meteorically far more complex than we can even imagine as the brain is as a complex system is often compared to the level of complexity of the physical universe. So it’s almost like having a microcosm in the brain of the macrocosm that we are apart of. So I always like to say that in general because the studies are shifting all the time. someone says “the amygdala’s responsible for fear” and then we know that I’m- we learned that we could still say that even today, but we’ve also learned there are different parts of the amygdala, that respond to negative emotional stimuli in one way or maybe it’s not always about fear, but it’s also about just… emotional valence the kind of emotional profile we give to something before it becomes out right fear so things like that are- so for example one of the things that mindfulness meditation it was just the most common study because it’s been able to be systematized in the form of MBSR mindfulness-based stress reduction. So it’s been very clinically studied and we can see that my voice meditation changes the structure of a meditator. first we saw that meditators and non-meditators had the different brain structural differences we saw that people going over course of mindfulness-based stress reduction program over the course of 8 weeks could actually change their brain and then- now we’ve seen that or short bit of meditation or talking just like hours to even- 4- 48 hours a few different studies here can change your brain through meditation so a lot of these studies are our have been done Sarah Lazar at Harbor University is one of the most popular- Britain wholesale who is also who is part of her lab as well now living in Europe, also a famous researcher in this area; so we have structural changes in the brain. Now, what kind of structural changes? Different societies various have shown that the amygdala the way it responds to emotional stimuli changes as a result of these awareness techniques like a mindfulness-based stress reduction Etc. There’s also different forms of meditation affect different parts of the brain differently. For example. you have non-dual meditation, so non-dual contemplation is considered one of the simplest and most challenging forms of- of… cultivation you can say or attainment, achievement, states, it’s not really a state, its just awareness of reality, the non dual nature of reality, so it’s a practice in different traditions in tibetan tradition is called dzogchen and this particular tradition affects an area of the brain called precuneus, so different types of meditation affect different parts of the brain. Also the coda putamen areas of the which are functionally part of the limbic system are also linked to intuitive perception abilities. so if you like talking about simple mindfulness, non dual meditation, intuitive capabilities, and then you have things like Mantra meditation where you’re repeating a sound over and over like ‘Om’, and letting that resonate in your body and your mind and your emotional systems. All these things have varied effects. No one has even begun to study the body and physiology. Now… different types of meditations, different types of brain regions, different types of brain circuits, then you have the process of basically meditating, so when you start doing a practice such as meditation or whatever where you have to focus- there’s initial attempt to focus noticing what’s going on, the attempt to focus focusing, getting distracted and then realizing your distracted and then shifting back into awareness. That has it’s own little sort of roulette wheel of of brain signals that brain regions that are activated so normally deciding to focus involves your prefrontal regions and your maintenance of focus involves prefrontal activation. excuse me activation of focus then maintaining it brings online not mutually exclusively but brings Online the striatum which is apart of the limbic system which helps to sustain the attention on what is what you’ve the state you’ve gotten into. and then at some point you’ll get distracted, and then you’ll use your prefrontal cortex again to pull you back into where you want to go. So for example meditation for the breath is off off and use of pointer Focus you can also use a visual aid or certain sounds as points of focus and the effects will all be very slightly different so I’ll pause there that there’s there’s much much more to talk about and explicate with regards to examples of how the brain is affected but the brain regions are important to anchor people’s understanding in neuroscience and from there you have to go into “Okay so what are we going to do about it” and that gets more into psychology. And people’s intuition and emotions etc. so..
Now, what kind of structural changes? Different societies various have shown that the amygdala the way it responds to emotional stimuli changes as a result of these awareness techniques like a mindfulness-based stress reduction Etc. There’s also different forms of meditation affect different parts of the brain differently. For example. you have non-dual meditation, so non-dual contemplation is considered one of the simplest and most challenging forms of- of… cultivation you can say or attainment, achievement, states, it’s not really a state, its just awareness of reality, the non dual nature of reality, so it’s a practice in different traditions in tibetan tradition is called dzogchen and this particular tradition affects an area of the brain called precuneus, so different types of meditation affect different parts of the brain. Also the coda putamen areas of the which are functionally part of the limbic system are also linked to intuitive perception abilities. so if you like talking about simple mindfulness, non dual meditation, intuitive capabilities, and then you have things like Mantra meditation where you’re repeating a sound over and over like ‘Om’, and letting that resonate in your body and your mind and your emotional systems. All these things have varied effects. No one has even begun to study the body and physiology. Now… different types of meditations, different types of brain regions, different types of brain circuits, then you have the process of basically meditating, so when you start doing a practice such as meditation or whatever where you have to focus- there’s initial attempt to focus noticing what’s going on, the attempt to focus focusing, getting distracted and then realizing your distracted and then shifting back into awareness. That has it’s own little sort of roulette wheel of of brain signals that brain regions that are activated so normally deciding to focus involves your prefrontal regions and your maintenance of focus involves prefrontal activation. excuse me activation of focus then maintaining it brings online not mutually exclusively but brings Online the striatum which is apart of the limbic system which helps to sustain the attention on what is what you’ve the state you’ve gotten into. and then at some point you’ll get distracted, and then you’ll use your prefrontal cortex again to pull you back into where you want to go. So for example meditation for the breath is off off and use of pointer Focus you can also use a visual aid or certain sounds as points of focus and the effects will all be very slightly different so I’ll pause there that there’s there’s much much more to talk about and explicate with regards to examples of how the brain is affected but the brain regions are important to anchor people’s understanding in neuroscience and from there you have to go into “Okay so what are we going to do about it” and that gets more into psychology. And people’s intuition and emotions etc. so..
HR: That was a fantastic journey you just took us on, that was wonderful! HR: No it was, it was fabulous. What is the website that our audience can go to, what is your website to learn more because I’m sure everyone’s going to want to know more about what you’re doing here. GA: Yeah sure, no problem. so my website is gabrielaxel.com, I also have another domain which is currently linked to that one neuralaxis.org but gabrielaxel.com is fine. and yeah, the website is something that’s a work-in-progress I’ve been mostly focused on finishing my doctorate for the past few years so what you’ll see most maintained on my website is my academic page which describes my academic interests directions, goals, grants, Publications Etc. that’s kind of the most up to date stuff and part of what I’m going to do with my PhD work is deliver this framework that I mentioned earlier kind of explicate that in the form of something formal like a course, and an online course. I also teach other things in the realm of purely self cultivation, neurophysiological integration processes that deal with people subjected experience but that have effects on their neurophysiology and neuroendocrine systems for basically to use a metaphor, rewiring the nervous system in a way that more expensive states of being and makes a lot of aspects of life and further self cultivation much more easy much easier more integrative and fruitful. So that’s based on a few different systems at the syncretic system what is a general neurophysiological integration process so that’s kind of what I do on the one hand and then there’s my PhD work on the other hand that’s the framework I had mentioned earlier, so I have these two things that I feel are the- the first tools that empower… people the most I have found. I really like to see people get off to a start in their life that makes sense for where they are for their Walk of Life and something that’s quite broad enough or it can apply to different people. So you can go to my website, you can contact me, you can refer to self cultivation, or the neuroscience framework and ask me a question, and that’s that’s how we can begin and from there, I basically maintain contact with people until the course is ready to come out. So I expect to see that in the near future, the very near future. HR: Talk for a bit about strong social relationships and the lack thereof. GA: Yes. The way I see it a lot of the mental illness crisis that are present in our modern world are in part caused by the separation of people into various real property allotments. humans involved in Village settings with a relatively small number of people, you growing up as a kid, exposed to similar faces all the time and you form deeper relationships, people help each other, with people it doesn’t work in the same way our current Society Works in terms of exchange economically. I’m not saying we should go back to village at all. What I’m saying is the human mind evolved in that context to a far larger degree, than it evolved in the fast-changing context that we have today. So the separation of people leaves people feeling alone and isolated there is a big overlap between the neural pathways are responsible for social connection and interaction and the pathways for introspective faculties such as meditation reflecting upon ourselves is very much related to the way we can reflect about other people so if we are missing social interaction a large scale, what is that doing to our ability to understand ourselves? and then it’s like a loop it keeps going and spiraling. social connections to Me… I want to say something personal is social connections to me I always enjoyed social connection but I leaned much more into being introverted at some point I realized that part of my personal fulfillment in this life is about relating to other people, helping other people and feeling connected that’s just part of how the brain works it’s not even like a yes of course for me there’s something about it that feels like a- like a- just a fuzzy or a feeling that I just have to do it you know? HR: what is the biggest single thing you can tell our audience of advice to get from you what’s the biggest single thing you can tell our audience? GA: You have the power to direct your experience. With the proper tools, you can direct your life in the way that aligns with your deeper desires. It will involve some reflection and awareness of what is adjacently possible to you, but with the right set of tools and the right intention and belief in yourself, you can accomplish things that you would never dream are possible of accomplishing. HR: Very well said, Axel Montes from all the way in Australia it’s been such an honor and a pleasure to have you here at different brains.org on another episode of exploring different brains! Thank you so much! GA: Thank you Hackie, and thank you to everyone who who listened and I’m happy to be in touch as needed thank you so much. 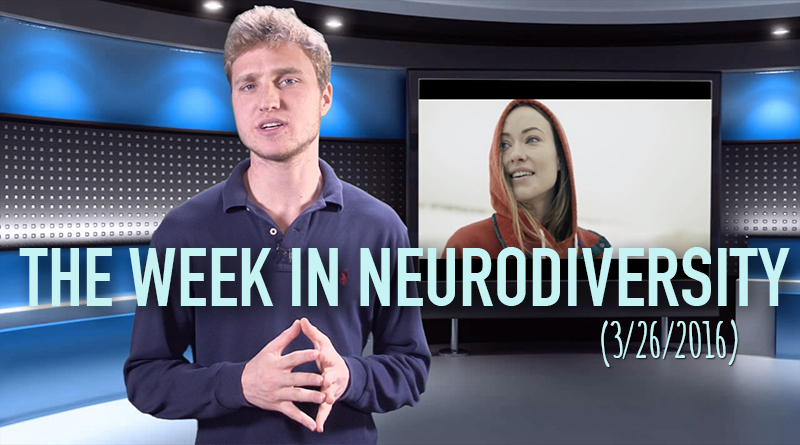 The Week in Neurodiversity highlights recent news stories that speak to the differences in our brains.Hosted by Matthew Ryan. (3 mins 19 sec) In this episode, a model throws a surprise photo shoot for his sister with Down syndrome, and Henry Winkler discusses how his book series about dyslexia is becoming a TV series! These stories and more in this week’s edition! 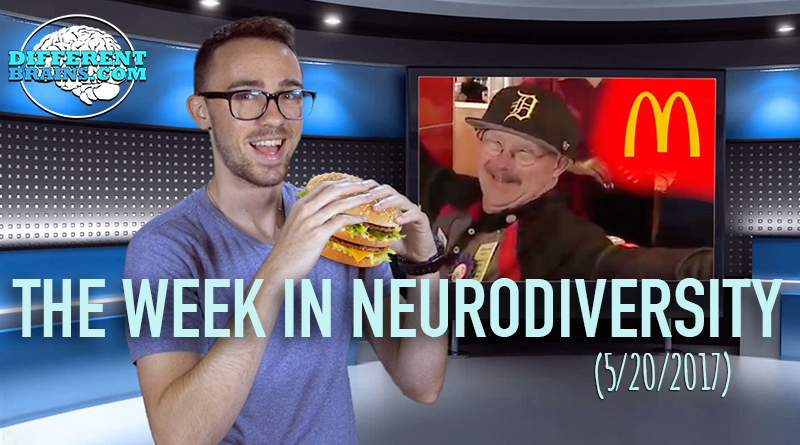 (3 mins 42 sec) In this episode, McDonald’s honors an employee with Down syndrome after working for 33 years, a son sings with his mother suffering from Alzheimer’s, and a teen with autism who was once non-verbal is now studying for his Masters in quantum physics! 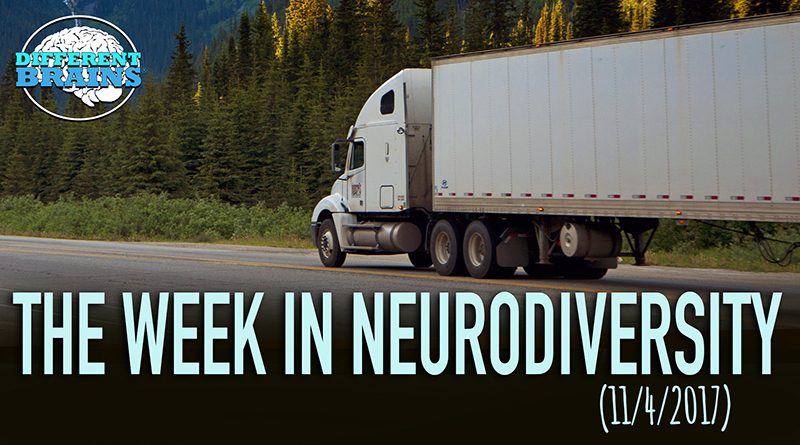 These stories and more in this week’s episode!